Healthy enough to eat and pretty enough to serve. Just a whizz in the food processor of raw cauliflower, some spicy cheese ( or not if you preferred ) and an egg to bind it together. Fill it with more cheese and a sharp chutney or jam and you have an elegant side. Perfectly paired with a good piece of meat; steak, roast, chicken or even duck. It is a winner all around. In a food processor using the pulse button cut the cauliflower and cheese to resemble small pebbles, With the food processor running add the two eggs just until mixed. Grease well with butter two muffin pans. Spoon the 24 spoonfuls into each pan as equally as possible. With the back of a teaspoon press down the mixture to resemble a cup. Plate and spoon in grated cheese and top with jalapeno, harbenero or tomato ginger jam. The mixture must be textured but easily spoonable. Do not keep using the processor to ''smooth'' it out. The teaspoon works rather well and its quick to push back into a flower like cup. Do not keep the bottom extra thick and it can stay wet and uncooked while the sides will cook quickly if much thinner. Yet the do have to keep the bottom thick enough to lift out. Use a tsp of paprika if you do not have jalapeno cheese. Make it with pizza fillings; adding saute`d wild mushrooms, caramelised onions and some more cheese would be delicious. This recipe does not need salt because most cheese is salty. Add salt only if desired. If you wish to eat it as a "toast" instead of bread simply spread the mixture into two cookie sheets lined with parchment paper. Remeber to mark the diamond or square shapes prior to baking. Cook until golden brown and allow to dry slightly. Using a ''drier'' cheese will help to emit less oils and avoid it from being greasy. Store in a covered container and heat as needed on a skillet over the stove top or in the oven for a minute or two. 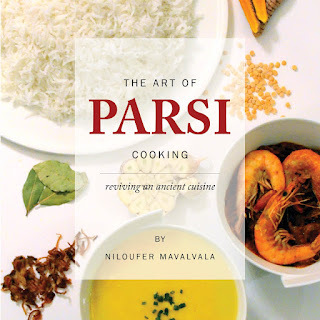 For my cookbook The Art of Parsi Cooking; reviving an ancient cuisine click here. This is very delicious food i like it. Thank you for the kind compliment. It is much appreciated. I hope you continue to enjoy the blog and the cookbooks. This looks so delicious and healthy. The recipe is also so simple so it won't be that time consuming. Going to ask my daughter to try this out today.